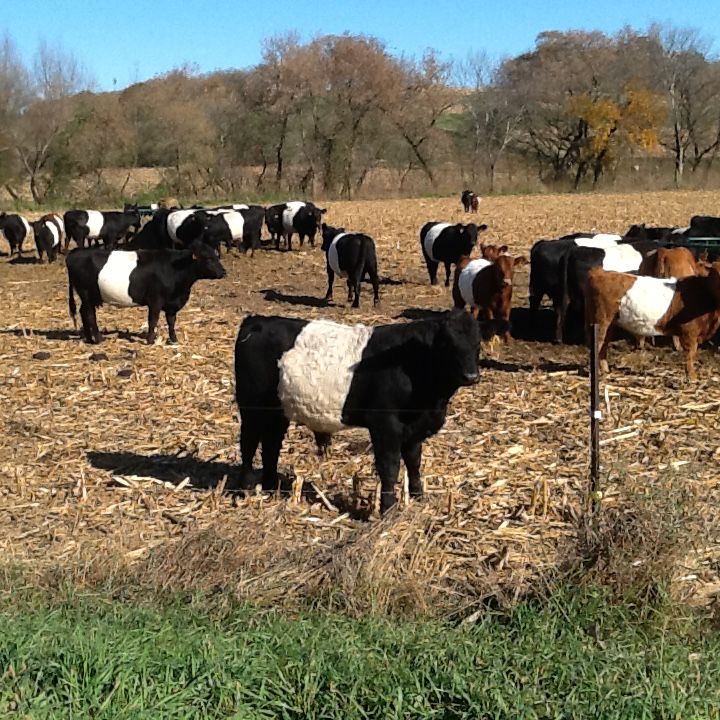 The Midwest BueLingo Association (MBCA) is an organization that was formed in 1999, when a group of BueLingo breeders noticed a concentration of BueLingo cattle in the Midwest (especially in MN, IA, IL and WI). The group started meeting and sharing information with each other and the public on BueLingo cattle. Informational exhibits have been displayed at Wisconsin Farm Tech Days, the WI and MN Beef Expos, National FFA Conventions, and at county fairs where animals have been shown. We have been involved in steer feedlot tests, one being done at UW River Falls which consisted of steers fed on corn vs. fed on grass. In the last two years, we organized and marketed BueLingo feeder calves in a feedlot owned by John and Phyllis Wilkey in Sterling, KS. They sold through Tyson Fresh Meats, Inc., and did a carcass and yield summary. They dressed at 64.12% and got a premium of $4.00 per hundred weight. We are a hands on group who continue to gather information on genetics, feed conversion, and carcass data. We continue to expand ways of marketing our beef as a group. In March of 2018, we had our first ever online auction. We have plans to do another online auction in March of 2019. We will be participating in Wisconsin Farm Technology Days in Woods County, in Marshfield, WI in July 2018. There will be a booth and display of BueLingo in the Beef Tent where we will promote and educate about BueLingo Beef. By being a member of the MBCA, you can become involved with a great group of people who have an interest in the BueLingo breed (something very unique and different). The MBCA is an organization that supports and enhances the National BueLingo Beef Cattle Society (BBCS). The BBCS is responsible for all registrations, record keeping, as well as the "BueLingo World" magazine. You do not need to be a member of the National Society to be a member of the MBCA, but you do need to be a member of the National Society to be able to register and transfer cattle without paying extra fees. Check out www.buelingo.com to see information on the National BueLingo Beef Cattle Society. Welcome new member John Lund! Click here for copy of membership form. The auction is closed, thank you to everyone who made the 2019 Breeders auction a success! The Committee members for the BueLingo Beef Cattle Online Auction would like to thank all who participated in the sale, consignors, bidders, contending bidders, and buyers! We did sell cattle, we did generate some dollars, and we did introduce a few new people to the BueLingo Breed. Thanks again!